Amanda McIntyre: TO ALL THE RUGGED COWBOYS AND BRAVE COWGIRLS WHO RISK IT ALL FOR THE THRILL OF THE RIDE! 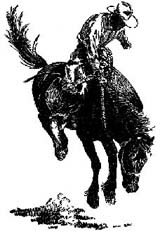 TO ALL THE RUGGED COWBOYS AND BRAVE COWGIRLS WHO RISK IT ALL FOR THE THRILL OF THE RIDE! OUT OF THE CHUTE a brand new limited edition anthology!! Do you love those rugged cowboys and brave cowgirls that risk it all for the thrill of the ride and the roar of the rodeo crowd? We're pleased to announce the upcoming limited edition anthology! **17 new stories from 17 best-selling authors! 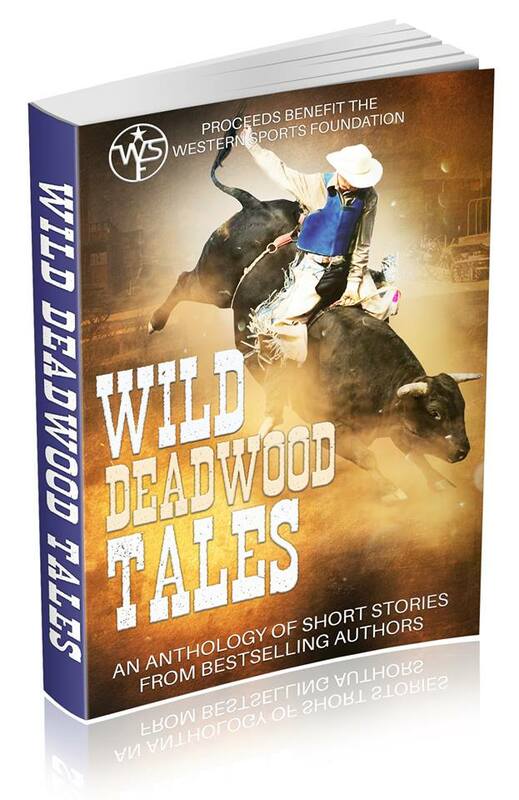 Meet the authors, hear what inspired their stories, and learn more about rip-roaring, historic Deadwood, South Dakota! Win or lose, she’s about to take on the big boys. 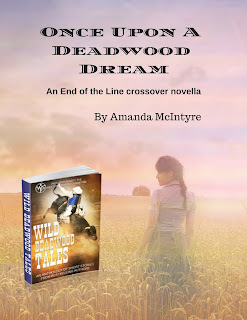 Faith “Bunny” Redmond forms an extreme plan at the Deadwood rodeo to convince a champion bull rider that women can excel at the dangerous sport. If she wins his respect, she might also win his love. A friendship that never died. Calamity Jane is drawn back to Deadwood by a force more powerful than death and becomes an unexpected savior in the midst of an epidemic. Tricks inspire courage and new love while daring others to dream. Pushed to choose a direction for her life, Tandi discovers that some crossroads are necessary. Surprisingly, each marker leads her to an arena of spectators with her talented horse and a handsome guy who gives her hope to do the impossible. In a gold rush storm, can an unlikely pair rescue each other? Raven wants to save one person. Charlie wants to save the world. Their warring nations thrust them together but duty pulled them apart—until their paths crossed again in Deadwood for a fight for love. Sometimes to find your future you must face the past. Searching for her past, Crystal Lake finds love in the unexpected form of Hunter McCoy, a Deadwood street actor. But when a deadly twist of fate threatens she must rely on the past to hold on to her future. There may be gold in the Black Hills, but Bennett has his eyes on a more valuable prize. Undeterred by the dictates of society, Lorelai Samuels dreams of owning a restaurant in Deadwood. No one will stand in her way, especially not infuriatingly handsome, stubborn Bennett Redding. Teenage crush or true love. You decide. Sean Maverick is on a charity auction block until a beautiful woman from his past buys him for the night. Em Stone believed in love at first sight even if she had to lasso and knock Sean off his feet. Everyone deserves a chance. When a miner tosses his daughter into the pot at a poker game and the winner is a brothel owner, Beau Gentry is determined to keep the young woman out of the man’s hands. Finding the perfect results from one simple test. Orphaned at a young age, both Adam and River yearn to find a living relative from either of their families. After finally deciding to put down roots in Deadwood, a simple DNA test brings a result that is more than they expected. Sometimes, love is hiding in the most peculiar places. Major Lucas Hamilton, widower, and father of four boys, insists on a regimented household. But when a bumbling young woman falls at his feet, will he take a chance on her or send her packing before she burns his house down? He loves her. She loves him. A proposal should be good news, right? Callie Jones never wanted to date a bull rider. Now she’s fallen in love with Rome Anderson, who is intent on winning the PBR championship and has asked her to marry him. Does she break his heart with a no or doom her future with a yes? Can a preacher’s daughter play poker with a gambler and win? Leticia Chasteen always gets dragged into situations she doesn’t want to be in. Gambler Rusty McGraw comes to her rescue. Who will end up with a winning hand? Always a bridesmaid, never a bride? Never say never. Kendra is fine with being a bridesmaid. She hung up her wedding hopes and dreams eight years ago when her cowboy chose the rodeo over her. But when they cross paths in Deadwood, the timing just might be right for reconciliation. Can a school marm with dreams of a better life, fall for a disreputable man? Having left her parents’ struggling farm, Suzanna Lindstrom dreams of a better life in Deadwood with a man who’s struck it rich in the goldfields. Fresh off the stagecoach, she meets a “disreputable” man. Or is he? Is it possible to love someone in another time? Sadie Mae Miller hangs up her barrel-racing crown for a new life. But when her grandmother asks her to sleep under a wedding ring quilt, promising visions of true love, she doesn’t quite believe her. Until she falls asleep. She was his…and it was past time he staked his claim. Jessamine Cooper was determined to stay independent and run her late uncle’s ranch. When she shows up in Deadwood with an ill-advised plan to win money she needs playing poker, Cash decides it is past time to stake his claim. When it comes to love, sometimes falling is the easy part. Aspyn Fielding blames Tucker Stargill for not talking her brother out of riding bulls. When Colt is gravely injured, Aspyn hopes Tucker will finally see things her way, but she’s the one who needs a change of heart. 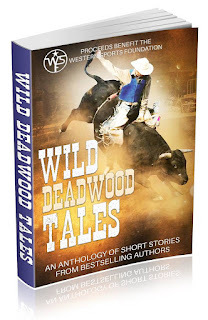 Proceeds from Wild Deadwood Tales go to benefit the Western Sports Foundation, which provides critical assistance to athletes competing in Western lifestyle sports. Whether they need help recuperating from an injury or planning for the future, WSF is there. hope you had an awesome end of the week and thanks such a great amount for imparting your exceptional post to us at Full Plate Thursday! Have an incredible week and return soon.You can refer best essay writing service to get a best guidelines and suggestion to write your essays.